Morristown has been called the “Military Capital of the American Revolution” because of its strategic role in the war for independence from Great Britain. It hosted General George Washington and the Continental Army during two New Jersey winter encampments, in 1777 and 1779-80, when Washington plotted the colonies’ rebellion against England. According to Morristourism.org, during these two winters the army rested, repaired its artillery, and restocked its munitions. Local iron mines, furnaces, and forges fabricated guns and musket balls for the Army. The soldiers were drilled and the generals planned their spring campaigns. Historians feel that the Continental Army benefited greatly from its two winter stays in Morristown, where the safety of the surrounding mountains provided a haven from the British for the Army to strengthen itself. And it was rich in natural resources like water and forests, and came with a patriotic population that helped feed and provide clothing for the Army. 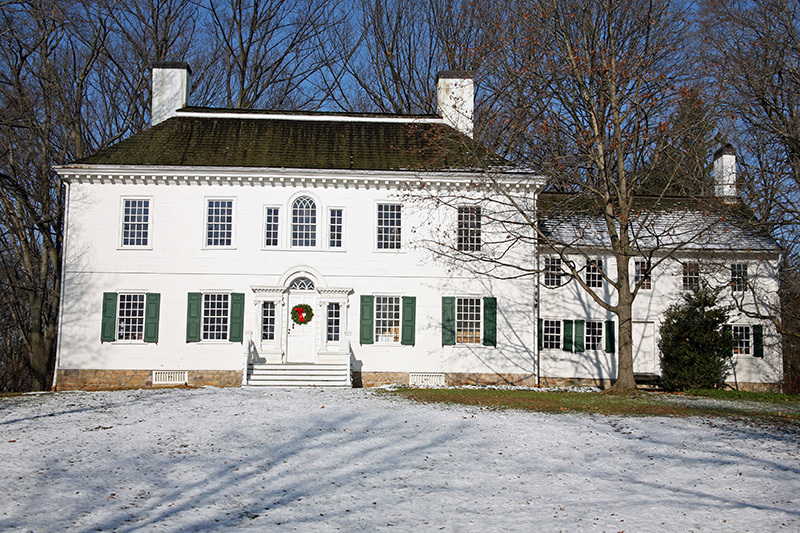 During the second winter, General Washington stayed at the Ford Mansion, which later became one of the earliest house museums in the United States. It is located in Morristown National Historical Park, named the country’s first National Historic Park in 1933. Many prominent American Revolutionary figures visited Morristown during the two winters, including most of Washington’s generals. Alexander Hamilton and Martha Washington accompanied Washington to Morristown. The Marquis de Lafayette came to Morristown with the news that the French would be supporting the Continental Army with money, ships, and soldiers. Benedict Arnold was court-martialed in a Morristown tavern, and shortly after this humiliation he began formulating his traitorous plot to aid the British by handing over West Point. The galleries feature many artifacts, interactive activities geared towards children and adults, and five new videos to experience. Visitors can step into the footsteps of a Continental soldier for inspection, lift a musket to feel its weight, and walk past snow drifts and into a recreated log hut. On the museum’s main level, the Military Gallery now features an interactive timeline of the Revolutionary era. For more information, call 973.539.2016 ext. 210 or visit www.npsgov.morr. 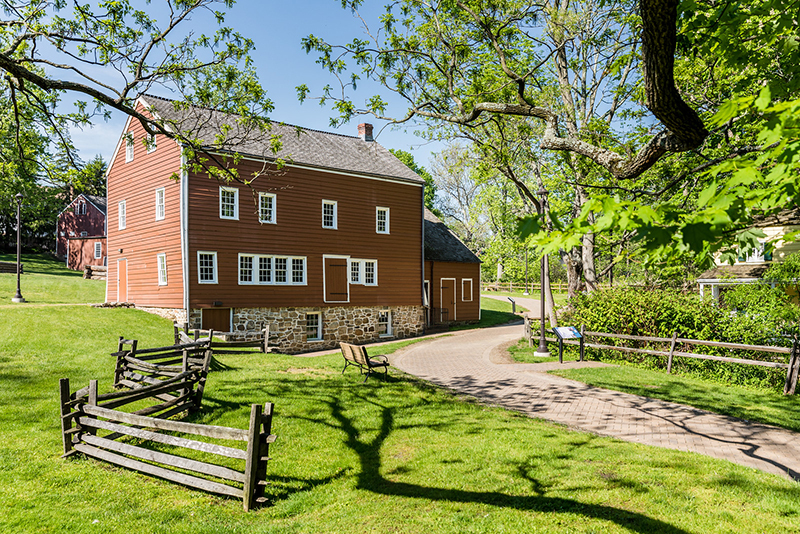 While at the Morristown National Historical Park, be sure to visit Jockey Hollow, also known as Wick House. Henry Wick built this Cape Cod-style house around 1750. His 1,400-acre farm, most of which was covered by forest, made him the largest landowner in Morristown. Wick’s trees attracted Washington’s army to the area as a winter encampment site because they needed logs to build cabins for shelter and wood to burn for heating and cooking. Major General Arthur St. Clair, commander of 2,000 Pennsylvania soldiers, made his quarters in Wick’s home for the winter. The house was restored to its original condition in 1934, and is furnished to portray its use as a general’s headquarters. 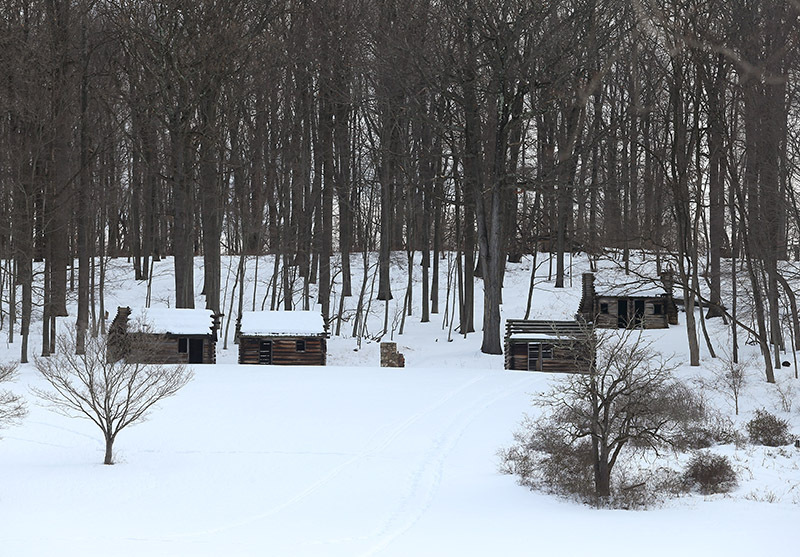 Soldier Huts at Jockey Hollow in the Morristown National Historical Park. Historic sites around Morristown. January 27, 2016, Morristown, NJ. Also in the park, Fort Nonsense occupies a high hilltop overlooking Morristown. 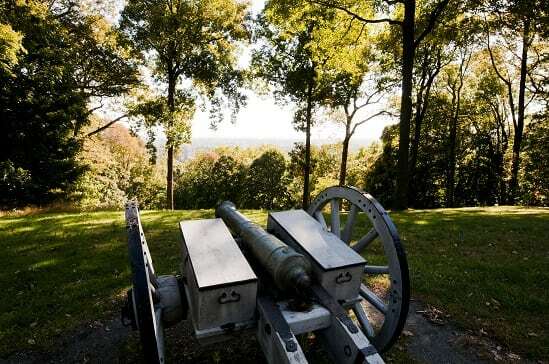 It was originally built at the order of General Washington in 1777, and strategically provides a clear view of the lands to the north, east, and south with a range of mountains rising directly to the west of the point. Originally referred to as “the Hill” or “Kinney’s Hill,” it functioned as an observation and alarm post, and a place of retreat for guards stationed in the town. Its name is said to have grown from a legend that Washington had set his troops to build the hill simply as a way of keeping them busy. In their pension claims after the war, soldiers referred to the work as “Fort Nonsense.” It is open to visitors daily from 8am to sunset. After the Revolution, the Morristown area began to evolve from a rural society to a light manufacturing center with the iron furnaces and forges contributing in the pre-Industrial Revolution time period. Locally, the Vail family of Morristown supported Samuel F.B. Morse in developing the first electromagnetic telegraph, a device that forever changed the way people communicated from days to mere minutes. Known as the birthplace of modern telecommunications, the family’s Speedwell Avenue property is part of the Morris County Park System and called Historic Speedwell. The story of telecommunications told there gives little known Alfred Vail — the inventor son of an industrialist and judge — his due. Morse conceived the idea for the machine in 1832 before meeting Vail three years later and receiving financial backing from Vail’s father. Alfred Vail is credited with the mechanical workings of the telegraph that spelled out the messages being sent over the wire. Now a historic landmark site, the Speedwell Iron Works also produced the engine parts for the S.S. Savannah, which in 1819 became the first ship to make an Atlantic Ocean crossing utilizing steam. Another Morristown resident, George Perrot Macculloch, spearheaded the effort to build the Morris Canal. Opened in 1831 and utilized for 100 years, the canal contributed to the success of New Jersey as an important manufacturing center during the Industrial Revolution. His home, Macculloch Hall Historical Museum & Gardens, located at 45 Macculloch Avenue, is both a historic house and museum of fine and decorative arts. Built by Macculloch beginning in 1810, the Federal-style mansion features ten preserved rooms that showcase six generations of the family’s beautiful 18th and 19th century furnishings. The gardens behind the house are said to be the first in Morris County, dating back to the early 1800s. The Macculloch Hall Historical Museum is also home to a unique collection of original prints and drawings by famous 19th century political cartoonist Thomas Nast. Nast, who created the image of Santa Claus as we know it today, once lived across the avenue in a home that is now a National Historic Landmark. Built in 1853, Acorn Hall, at 68 Lafayette Avenue in Morristown, is a Victorian Italianate mansion on the National Register of Historic Places that serves as a house museum and the headquarters of the Morris County Historical Society. Acorn Hall, which was named for the two-centuries-old oak tree formerly standing on its property, is noted for its collection of preserved original mid-Victorian era furnishings, fabrics, and artworks. 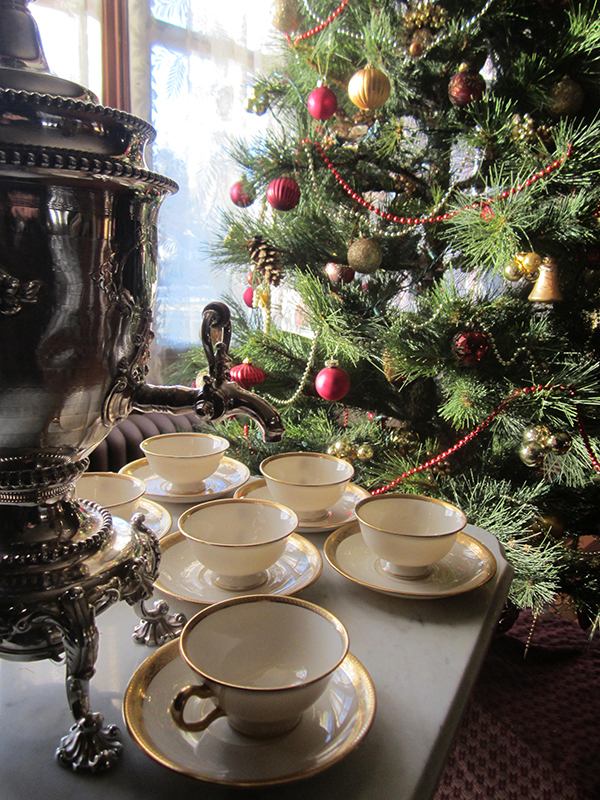 Acorn Hall’s annual Christmas celebration features its famous upside down Christmas tree, along with docents in beautifully decorated rooms and seasonal and classical music played on a c.1869 Chickering piano. Parsippany resident and Mission furniture innovator Gustav Stickley was also a Morris County resident. The Stickley Museum at Craftsman Farms, located in and owned by the Township of Parsippany-Troy Hills, is the former home of the noted turn-of-the-century designer, a major proponent of the Arts and Crafts home building and furnishing style. 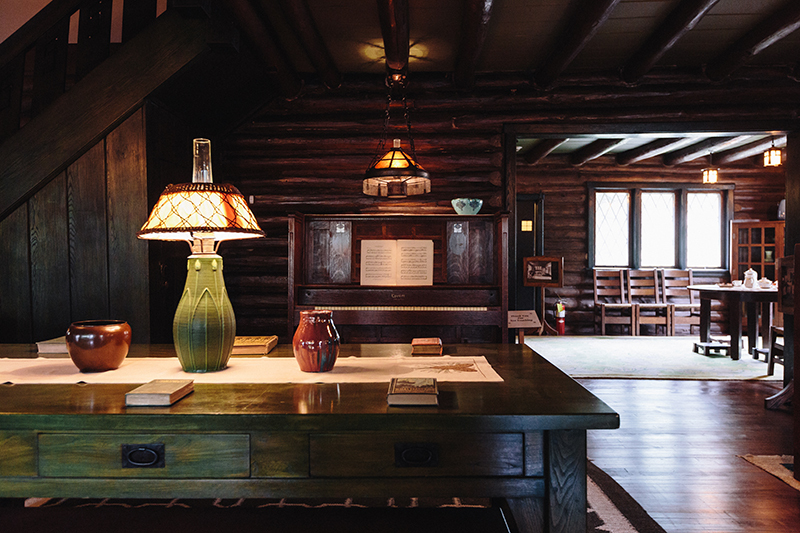 The log house, built in 1911, is one of the most significant landmarks of the American Arts and Crafts movement, and the site, which consists of 26 acres of the original 650-acre tract, has been designated a National Historic Landmark. Located at 2352 Route 10 West in Morris Plains, it is open Thursday through Sunday. Guided tours at 12:15pm, 1:15pm, 2:15pm, and 3:15pm leave from the museum shop, which is open from 1-4pm. For more information, visit www.stickleymuseum.org. Set on 127 acres, the Frelinghuysen Arboretum, located at 353 East Hanover Avenue, Morris Township, is open daily without charge. 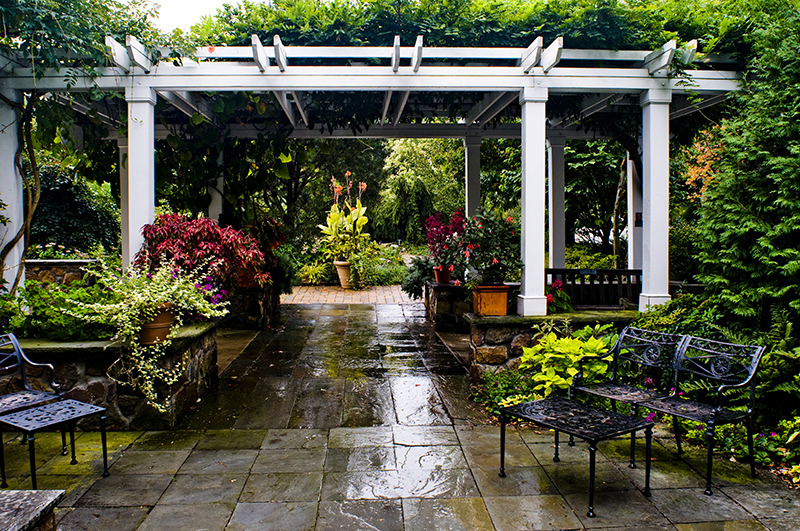 It is a regional center for horticultural activities of all kinds, and its grounds feature woodlands, meadows, and beautiful gardens surrounding the Arboretum’s Colonial Revival mansion, which is also the headquarters of the Morris County Parks Commission. Events at the Arboretum include educational programs, tours, cooking classes, lectures, garden demonstrations, and more. Visit www.arboretumfriends.com.